As I struggle with the daily grind, I'm trying to focus on the things around me that give me delight and joy. Here is a sampling of the delights of this week! 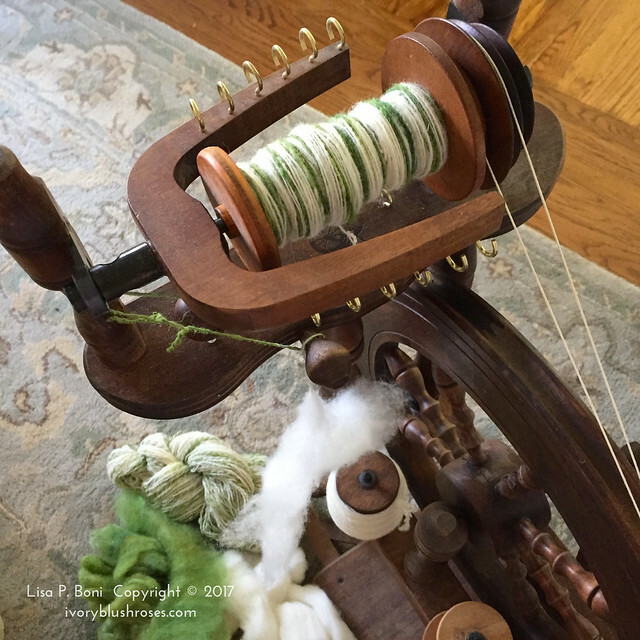 What a joy to have Connie come stay the night as she learned how to use her new spinning wheel! It was good to get mine dusted off and get focused back on getting a long term spinning project moving once again! 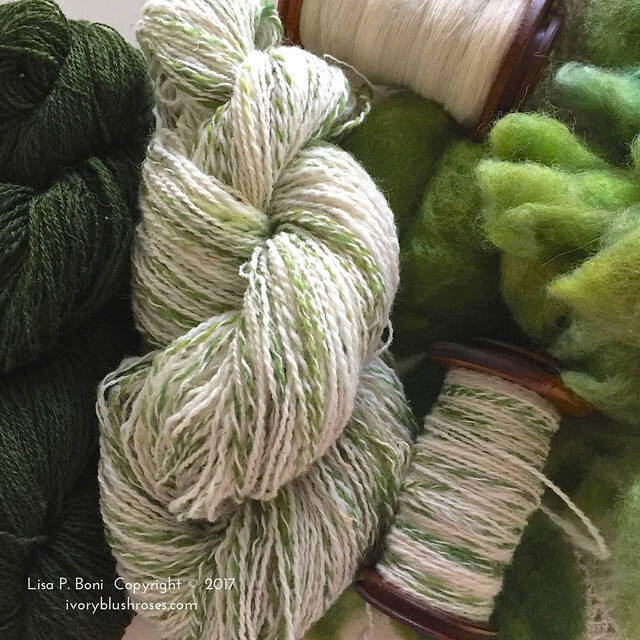 Loving the yarns coming off the spinning wheel! Can't wait to have enough to begin knitting a special project! 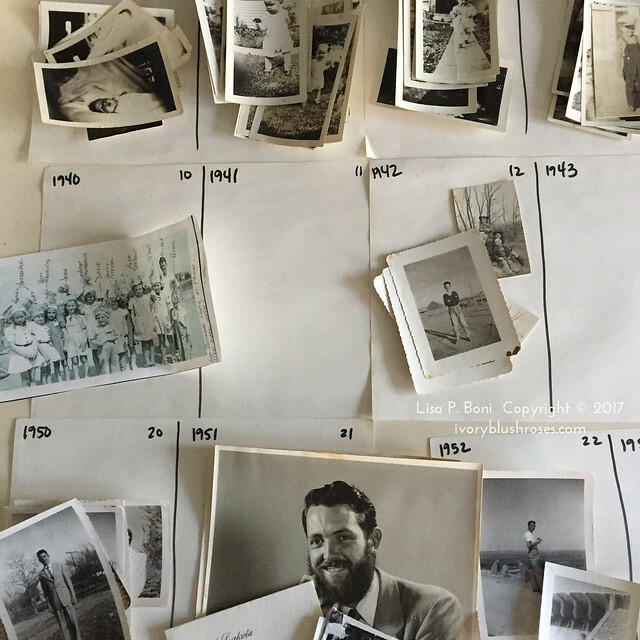 I've spent a lot of time categorizing photographs as I start work on my Dad's Memoirs! Such a lovely trip down memory lane. Oh how I miss him. 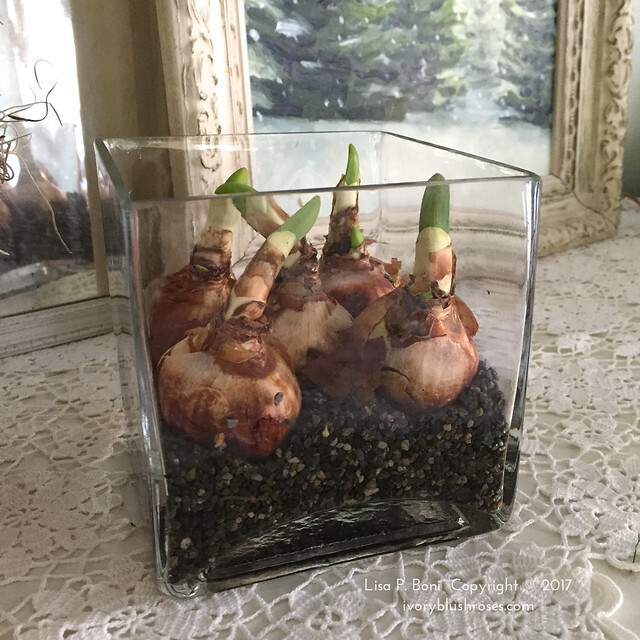 I finally got a few paperwhite bulbs planted. Should be blooming just in time for the February/March doldrums, when I need a bit of hope for spring! 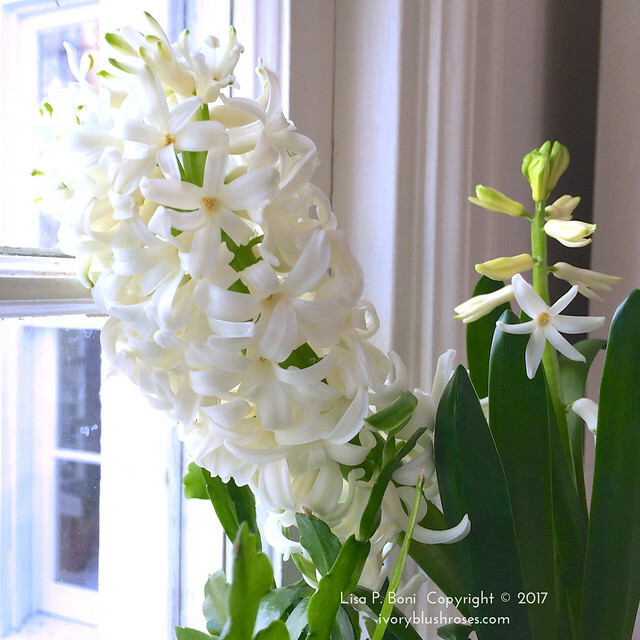 The grocery store provided some lovely Hyacinth bulbs, which are blooming and filling the house with their heady scent! 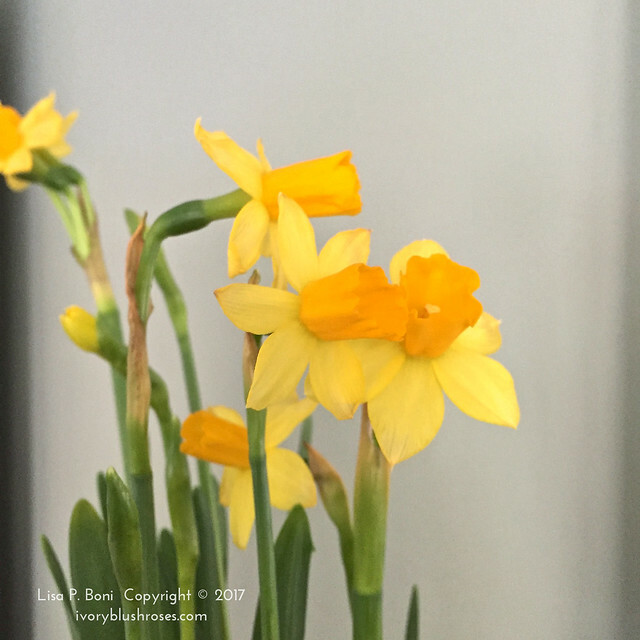 A pot of tiny bright daffodils to brighten up the dining room! 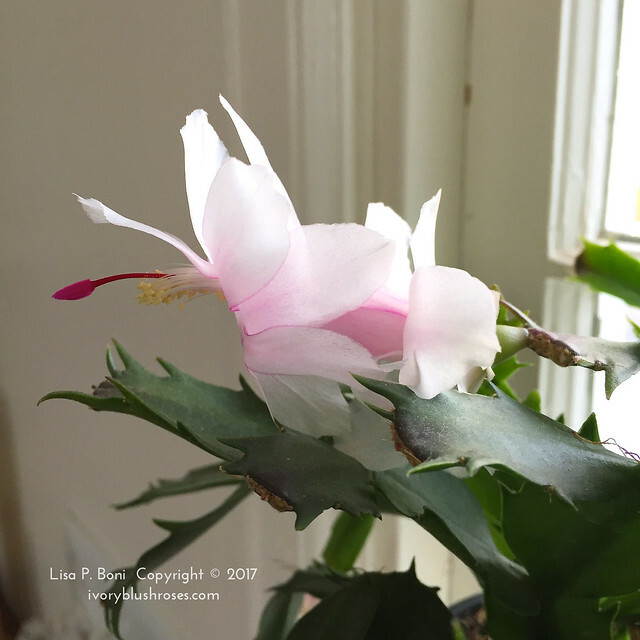 In the kitchen, the Christmas cactus is blooming once again! Such exotic blossoms! 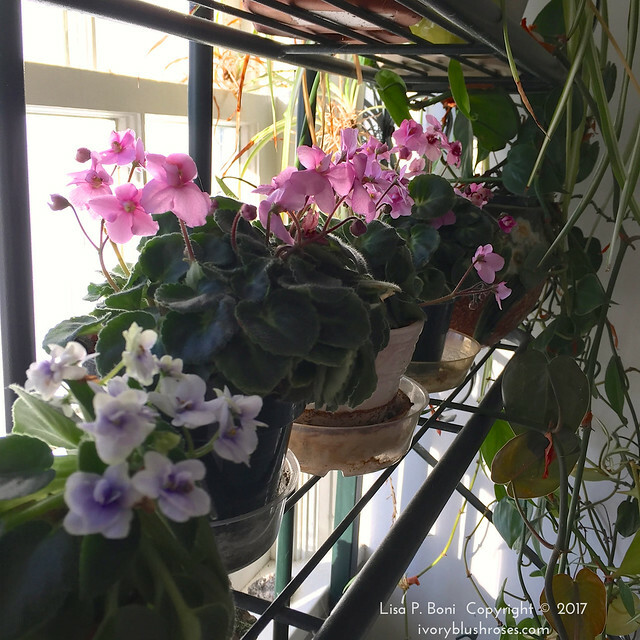 The row of miniature african violets continues to bloom. It's been non-stop for months now! 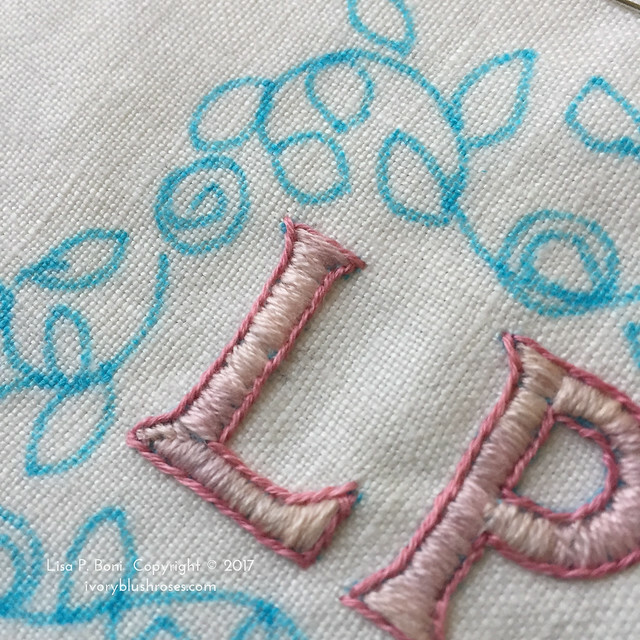 There has been a bit of time to play with some embroidery. I guess I need to work under a magnifier now as when I take a photo I can see all sorts of mistakes that I don't see otherwise. 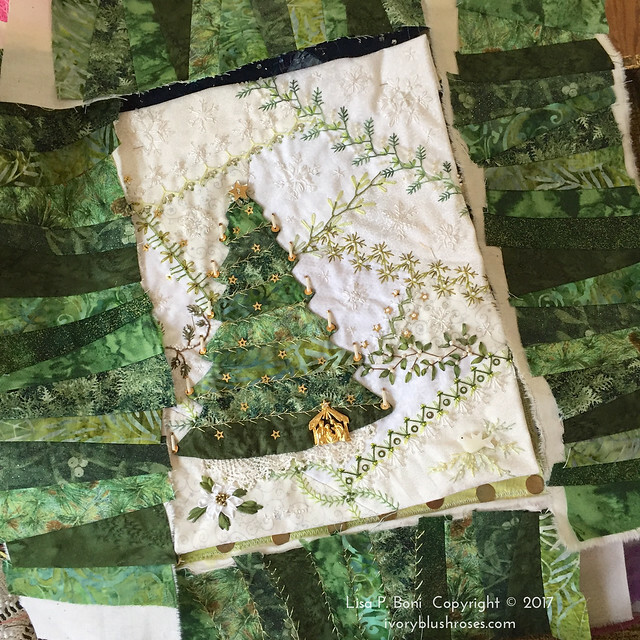 A tiny bit of progress on a crazy quilt project. 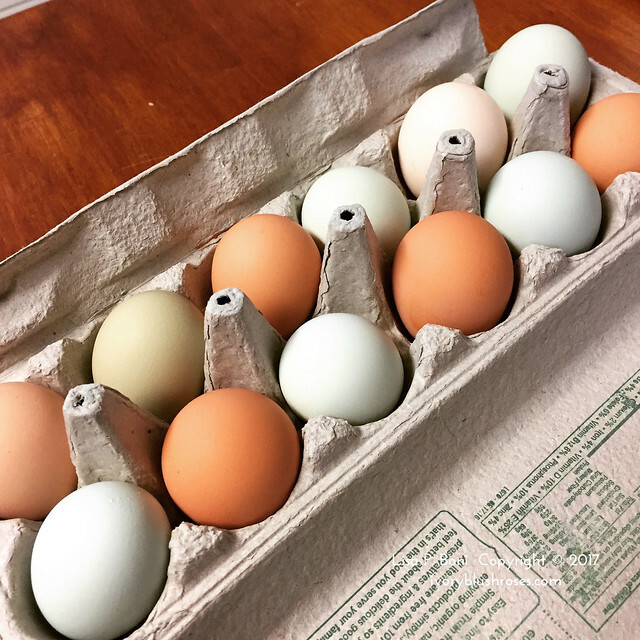 The gift of a dozen colorful farm fresh eggs from a co-worker this morning! Guess what I had for dinner? And of course, my dear kitty companions - true treasures! Thomas is going on 16 and starting to show his age. 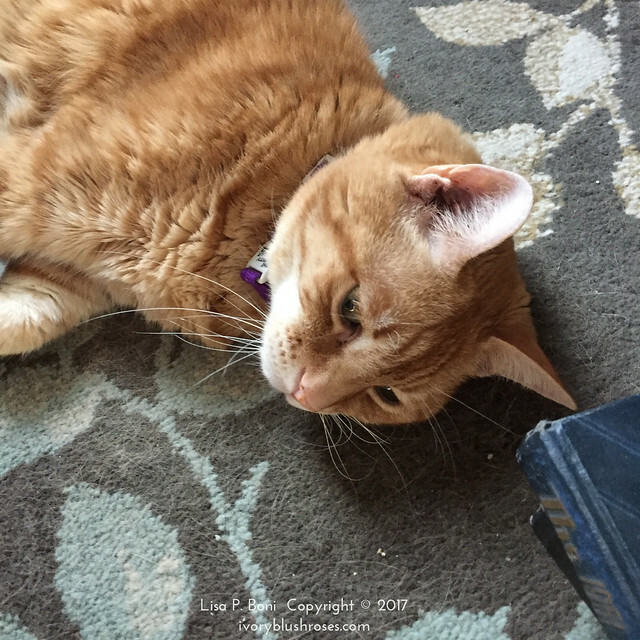 This is his favorite spot to sleep these days, hence the plastering of cat hair on the rug. It's right next to the little heater in my study. 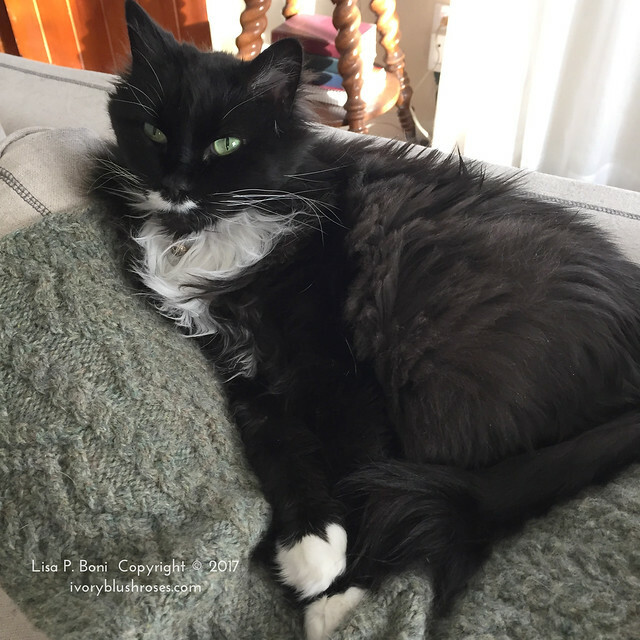 And Kitzy Cat, after being rather a non-entity around her for the past 4 years, is lately starting to become a real sweetheart of a cat and a much nicer companion. She's about due for a haircut, once the coldest days of January are past. It was good to look around and see that there really are so many things I am thankful for, so many things that bring me joy! Important not to get lost in the troubles of the day and instead search out the good things. What a lovely post filled with things that bring you joy. Thanks for sharing and have a nice January with your sweet felines. Great post! Is there anything you don't do? You give me hope for our new ( 1 year ) stand off rescue kitty. Lovely post and reminder. My "word" this year is thankful/grateful. It's easy to look around and think about what you are grateful for. It's a habit that becomes hard to break. Your flowers are so pretty. Do you like the scent of Paperwhites? I find it offensive. Your Christmas Cactus is so pretty as all of your flowers are. Your home looks like Spring! I love all the flowering bulbs Lisa, I think I may have to do this myself! !